Linn Records are to be congratulated on re-packaging four previous releases of violin concertos featuring Joseph Swensen as soloist and conductor of the Scottish Chamber Orchestra. Each of these was recorded in the Usher Hall, Edinburgh between 2002 and 2004 when Swensen was the Principal Conductor of the Scottish Chamber Orchestra. The first CD begins with Mendelssohn’s Hebrides Overture, Op. 26 before we get a performance of the Violin Concerto in E minor, Op. 64. Finally we get the Symphony No. 3 in A minor, Op. 56 ‘Scottish’ effectively giving us a very attractive all Mendelssohn concert programme. In a similar vein, on CD 2, we are presented with about half an hours worth of excerpts from Brahms’ Hungarian Dances following the ever popular Violin Concerto in D major, Op. 77. Dvořák’s Violin Concerto in A minor, Op. 53 is accompanied by his Czech Suite, Op. 39 together with a nocturne and a waltz. The final disc Prokofiev’s Violin Concerto No. 2 in G minor, Op. 63 is neatly sandwiched between the well known Symphony No. 1 in D major, Op. 25 ‘Classical’ and an orchestrated version of the Five Melodies for Violin and Piano, Op. 35b which showcases Joseph Swensen’s talents as an arranger. The overall standard of these four discs is uniformly high and shows what an accomplished violinist (and conductor) Swensen was (and still is) in a wide range of repertoire adjusting his style of performance to match the individual work. 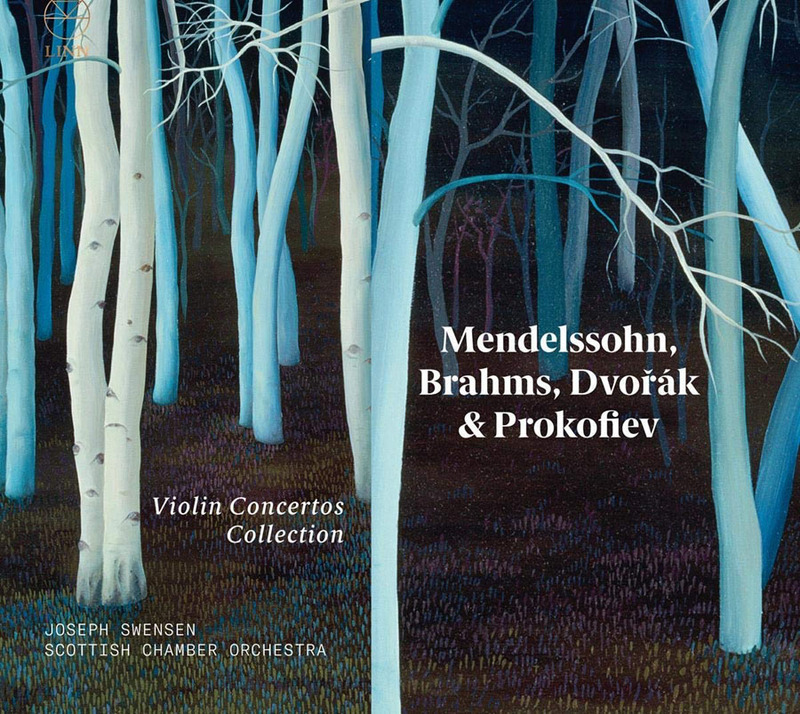 There are undeniably better performances of each of these works (though I really enjoyed the ‘Scottish’ symphony and the beauty of Swensen’s tone in the favourite concertos from Brahms and Mendelssohn) available but saying that is missing the point. This package is greater than the sum of its parts and can be recommended wholeheartedly to those wishing to become familiar with the orchestral works of Mendelssohn, Brahms, Dvořák and Prokofiev. The sound is of the usual high standard that the Linn engineers achieve in the Usher Hall and at a favourable price this can also be recommended to fans of Joseph Swensen and of the Scottish Chamber Orchestra; assuming; of course; that they have not already invested in the single releases!